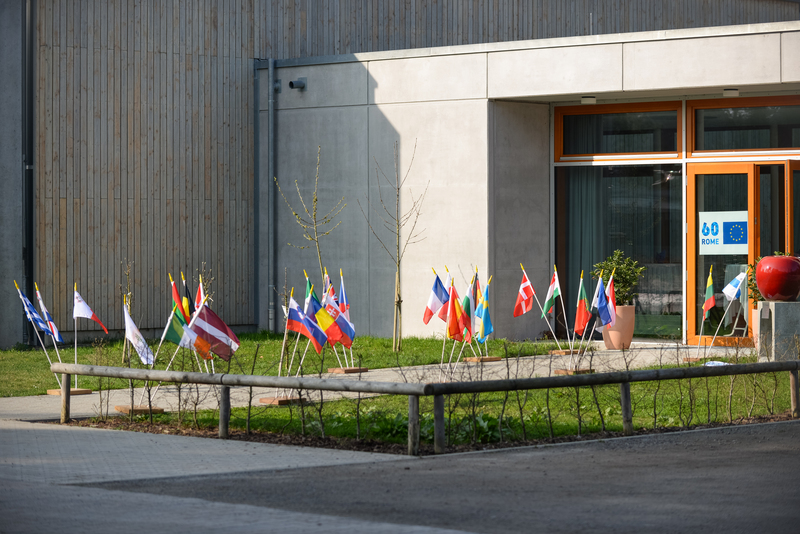 Located in the Rhine valley between Heidelberg, Mannheim, Stuttgart and Strasbourg, the European School Karlsruhe has a remarkable location in one of the most dynamic regions of Europe. Nearly 1,000 pupils attend our school. 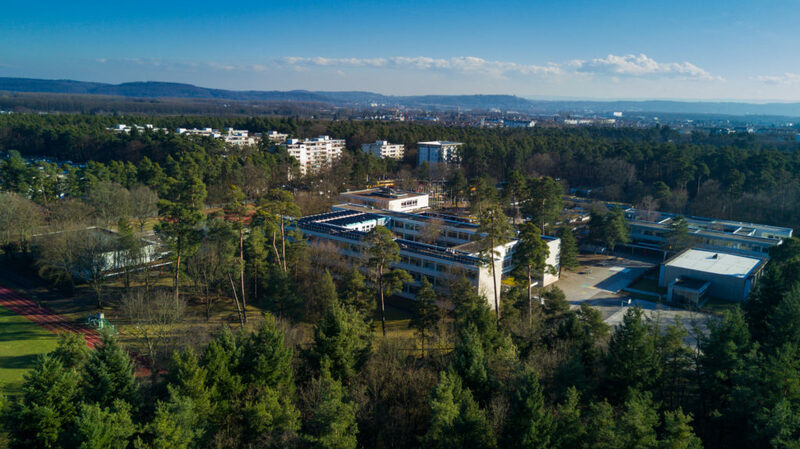 Its campus, easily accessible and well connected by public transport, benefits from a green and wooded environment which is quite exceptional. The dispersion of the buildings over 10 ha creates a warm learning atmosphere and allows to offer our pupils a variety of sports activities and many places of relaxation. In order to make the learning conditions optimal, the school has a number of specialised rooms to vary teaching conditions by adapting them to the needs of the pupils and their teachers. A digital work space is accessible to both pupils, staff and parents and promotes innovative teaching. 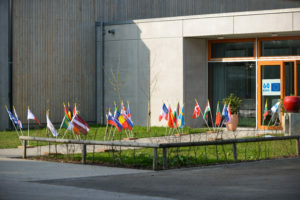 Four large buildings, all connected with a covered walkway and two large sport halls with outdoor facilities (football pitches, several training tracks, long jump facility and basketball courts) are spread out over the campus of the school (8700 m2). 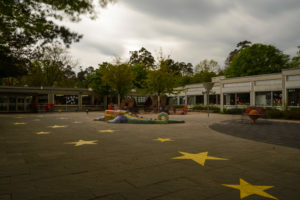 Play facilities for the younger pupils with 5 m climbing frame and playground. Infirmary (nurse present all day). 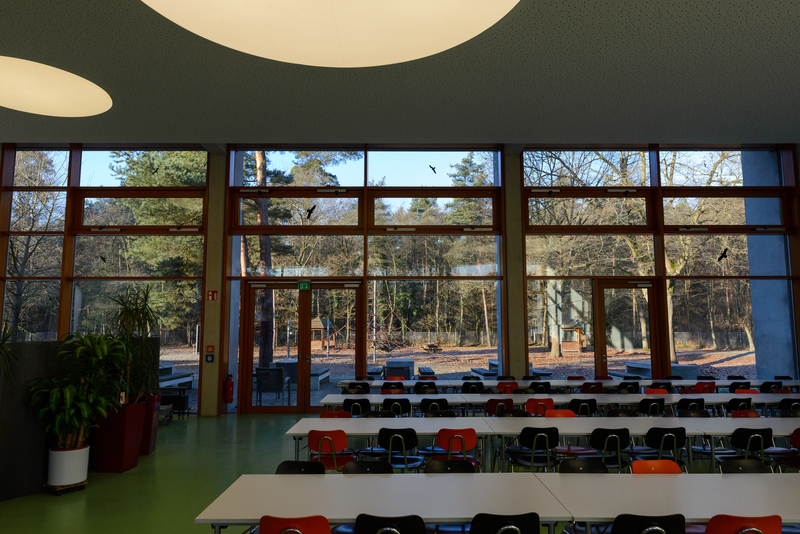 All classrooms are welcoming and bright with direct views of the surroundings. Large computer laboratories, equipped with advanced technology and internet access. Two school libraries for the secondary and primary/kindergarten, which are looked after by professional librarians. A new canteen that offers healthy and balanced meals. Different rooms for science, art and music with ample space. 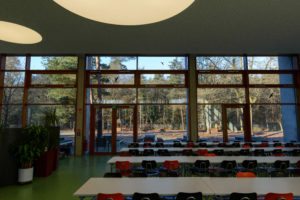 A purpose-built hall is avalaible for large school events.